If you are moving locally, you’ll want a moving company that knows the local Bay Area well. With our help, you can move all your items easily and conveniently anywhere in the entire San Francisco region, including San Jose, Oakland, San Mateo, Palo Alto, Concord, Berkeley, and beyond. Now we also offer local moving services in San Diego, including Carlsbad, San Marcos, and Chula Vista. Long distance moving can be scary. You want professionals who know exactly how to get you there. Our team of professional interstate movers is at your side with skilled help. We’ll make it easy to move out of state to the San Francisco area from anywhere in the country. Your beloved piano needs special care when you’re moving. You want professionals with the know how to bring your cherished piano to your new San Francisco home. Whether it’s an upright or a baby grand, we handle your piano with care during your San Francisco move and set it down exactly where you want it. Attending a new school offers a new opportunity to learn. San Francisco is home to many great colleges and universities. We’ll make it easier than ever to plan your move to your dorm or apartment with our professional student moving services. Planning a San Francisco resident move takes a lot of time. You want everything to flow smoothly during the entire moving process. This is why you can count on us to get you there quickly and easily with our licensed and bonded moving company. A business move is often highly complicated. Your decision to move often affects many other lives. You need a company that can help you with all the important details of any commercial relocation to the San Francisco area. We’re here for you with our licensed and bonded movers, allowing you to relax and reassure your employees as we handle the details on your behalf. Packing up all of your items for a move isn’t always easy. Many people aren’t sure where to begin or how to pack so that all of their items are stored safely during transit. 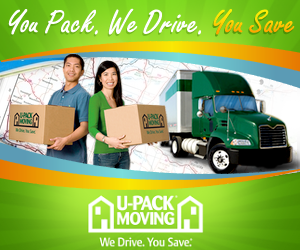 Our company will come to your door to help you with your San Francisco move. We’ll pack up all of your things carefully, so nothing gets damaged or broken during the move and then unpack them once you’ve arrived at your new home. Many older people want to downsize to a new space. Moving to a smaller apartment or house can help them reduce costs and still have a nice place to live. If you’re a senior looking for help with your San Francisco move or a loved one looking to help your parents, contact us. Our team of licensed and bonded movers will be at your side with the help necessary to complete the move quickly and without problems. Any move of any size needs both enough packing supplies and the right kind of supplies. We can show you how to determine exactly how much packing tape, boxes and other items you need to move or store your items in the San Francisco area safely.